Welcome on Dungeons & Treasures ! The adventure game that wins money and gifts for their players ! 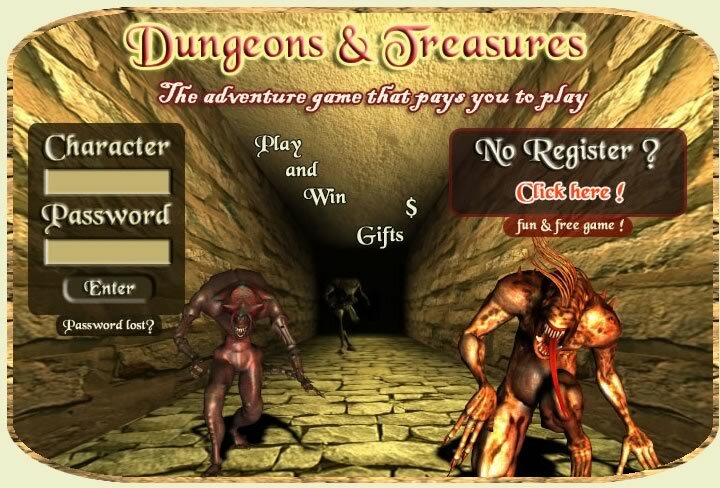 - Win gold by finding chests in the dungeons and by playing different games on the site. - Each month the characters are reset to zero and the winning golds is converted into virtual DT$. Sponsoring your friends and win until +40% (5% to +40%) of their earnings, until +20% (0% to +20%) of their earnings referral and +14% (0% to +14%) in their under referral.